In just a few weeks, we will celebrate 10 years living in Singapore. When we left Sydney in 2004 for a 2-year assignment we never expected to still be here a decade later. It is not the same place today as it was then but at every stage, I have loved it. Today, it is, if I might quote Ryan Tedder from One Republic, “the most badass futuristic city in the world.” I don’t think there is any other country anywhere that has the capability to redefine and expand itself at the rate Singapore does almost on a daily basis. A part of this is because Singapore is a city/country so there is only one level of government that has a clear mandate for progress and change. 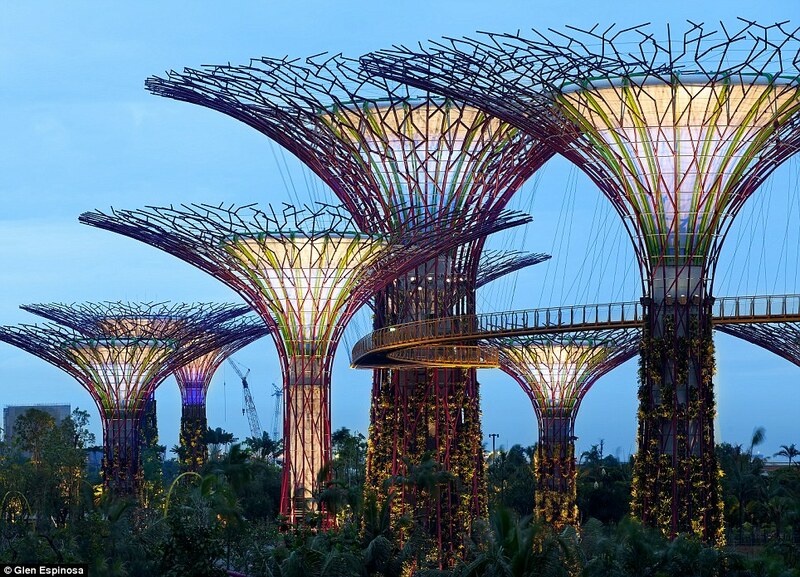 Singapore is everything you can imagine and it is all at your fingertips in a click. We love to see bands and the best of them come through here. It takes us a mere 15 minutes from our condo to sitting in our seats at the stadium (drinks in hand) then home again in the same time. And it costs us less than SG$5 to get there and back. I believe this is quite miraculous in a country of 5.5 million people and it says a great deal about Singapore’s efficiencies, planning and transportation. Singapore is hassle-free. Then there is the beauty that is within minutes of our condo including the divine Gardens by the Bay which is our evening walk. It’s an extraordinary place, and although it’s a regular for us, we never tire of spotting something new and beautiful that has sprung forth in abundance since the last rains. And walking through the gardens during or after rain is even better, and since it rains 265 days each year here, that’s my idea of paradise on earth. I’ve often declared my love for rain and rainy days (I even called my first novel, Rain) which I’ve since learned makes me a pluviophile ie a ‘lover of rain; someone who finds joy and peace of mind during rainy days’. I am happy to own it but it started me wondering why I do love rain so much and why waking up to a rainy morning even on a Monday brings instant joy. I really don’t know why – I can find no explanation other than perhaps in a past life I lived somewhere desolate. I also love rain because of what it does – it makes everything green and clean and these are two aspects I love about Singapore. In February, we experienced the driest month since 1859 and I found it quite distressing to see trees and plants wilting and expansive brown everywhere. Every day I implored the perpetually blue sky to turn black. The spring monsoon did finally arrive and almost instantly everything is green again. There is however one caveat and that is I love rain so long as it is not cold; tropical rains only please. If I lived in a cold climate, rain might lose some of its beauty even in my eyes but then it wouldn’t be rain; it would be snow.